Ever since D-Link sent the AC3200 and AC5300 for review I’ve been a fan. 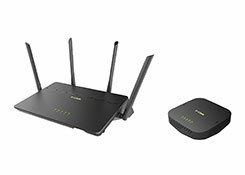 Both of those routers sat near the top of D-Link’s price range and were absolute beasts in both looks and performance. 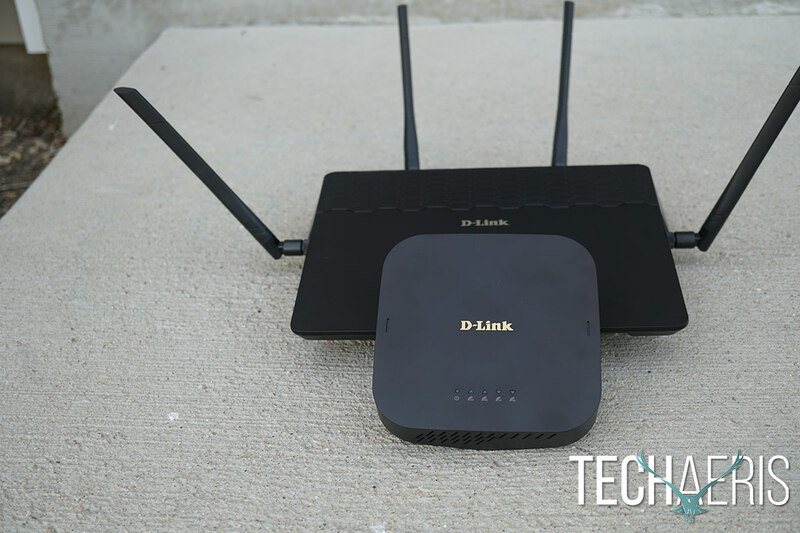 This time around, D-Link sent along something a bit different. 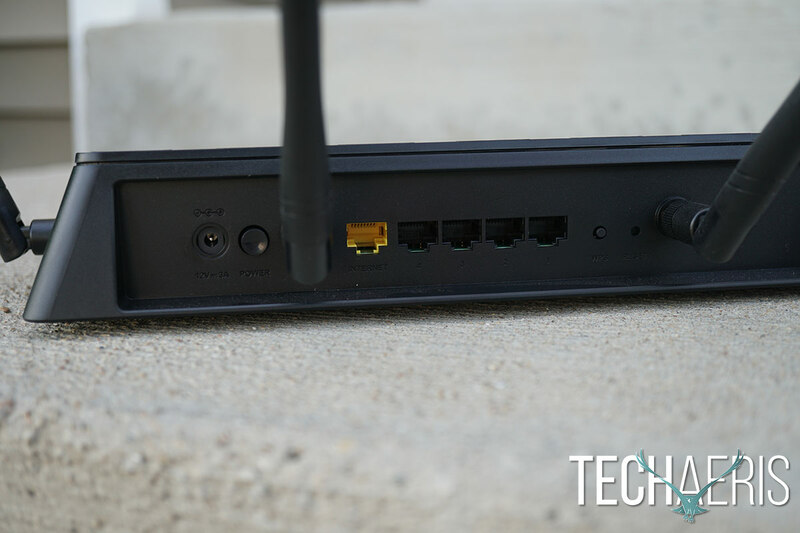 The D-Link Covr is a mesh networking solution meant for easy setup and use. 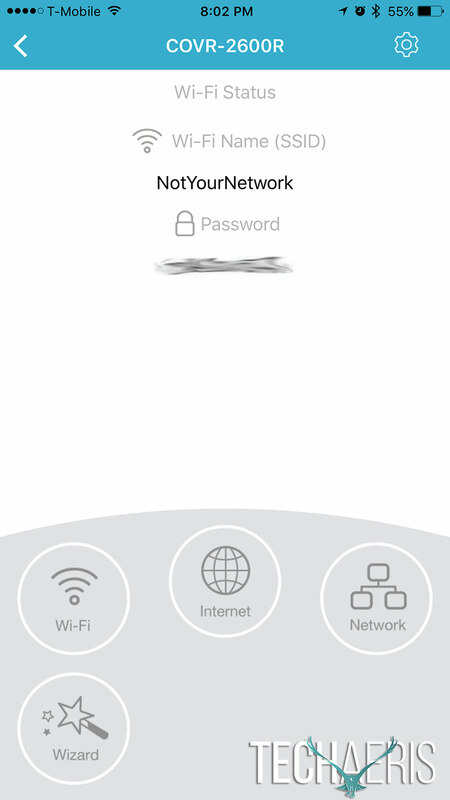 Mesh networking relies on a central router and extender which theoretically should cover most any portion of your home with seamless Wi-Fi. 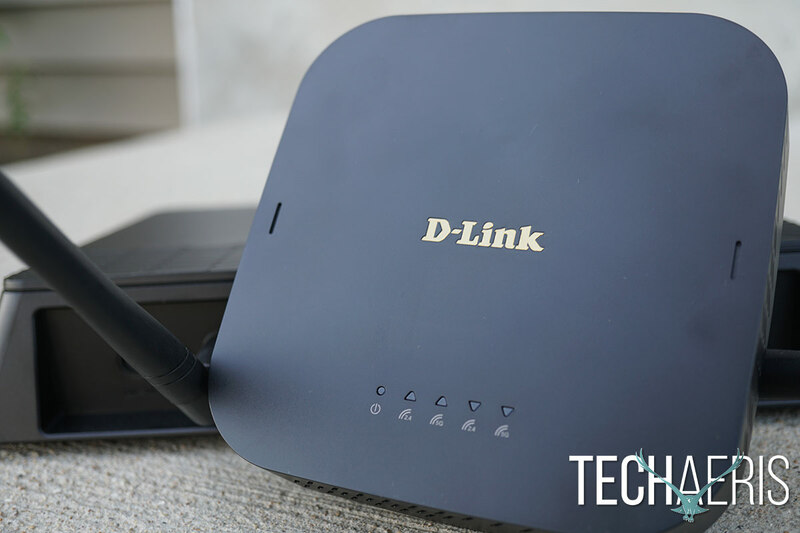 Routers such as the D-Link AC5300 can run $399USD and above, the D-Link Covr can currently be had for $299.99USD on Amazon and can feasibly provide similar coverage but with easier setup and use. Read on for the full D-Link Covr review and find out why the D-Link Covr system earns a Top Pick Award for 2017. 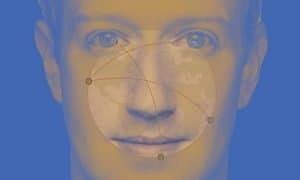 It also earned a Best of CES 2017 award earlier this year. First, here’s a super long list of specifications for the networking geeks reading this. A Plain Jane design isn’t a bad thing. The D-Link Covr system is pretty plain in terms of design. It certainly doesn’t fit into the same design realm as D-Link’s Ac3200, AC5300 or even the smaller AC1900. All of those devices are pretty radical in terms of looks. The AC3900 goes back to the Plain Jane approach which isn’t necessarily a bad thing. The plain look of the device actually fits in better with most home decor, should the D-Link Covr be exposed. The design actually mirrors that of the D-Link DIR-878 with its angular sloped box look and four antennas. There are two antennas on the sides and two on the back, all of which rotate 180º. All of the antennas articulate to a degree allowing for better signal direction increasing the chance of better signal. The whole unit is made of high-quality plastic with the D-Link logo right on top in an interesting gold color choice. Along the top are your LED indicators in the following order: power, internet, 2.4 GHz Wi-Fi Status, 5GHz Wi-Fi Status, and USB. The LEDs are lit green when all is good, orange when there may be an issue, and blink with internet activity. At the front of the D-Link Covr you’ll find the USB 3.0 port, which is an excellent placement choice versus the back. I wish more networking devices would place ports at the front that a user may need access to. Moving around the back you have your 1.2V – 3A power adapter port, power button, main internet/ethernet port, four ethernet ports for devices, WPS button, reset button, and Wi-Fi button. The bottom of the device has your typical rubber feet to prevent slipping and of course, ventilation to keep the device cool. 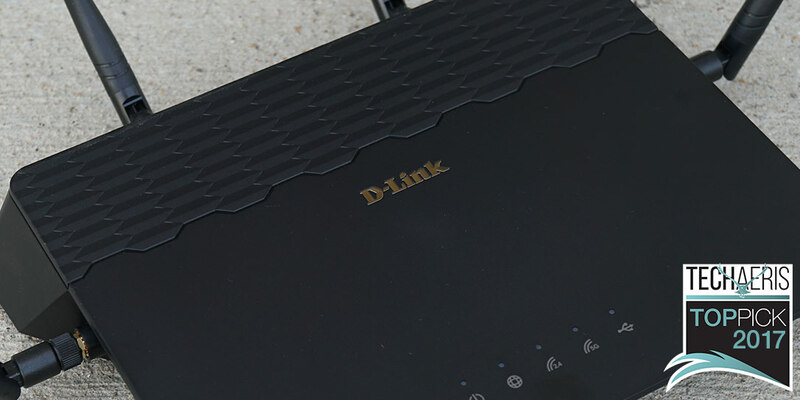 The extender is equally nondescript clothed in black with a gold D-Link logo. It looks similar to an Apple TV. The LED indicators on the top are in the following order: power, 2.4GHz band uplink strength, 5GHz band uplink strength, 2.4GHZ band downlink strength, and 5GHz band downlink strength. On the rear you’ll find the reset button, Wi-Fi button, two ethernet ports, on/off switch, and 12V – 1A power adapter port. The ventilation for the extender is done through the sides of the unit and the unit is wall mountable. 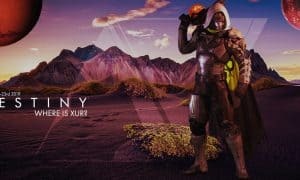 Overall it’s a simple and basic design. While I prefer the looks of the AC5300 and its red spaceship design, my wife appreciates the subtle non-descript D-Link Covr design. The D-Link Covr system is all about making things simple for the user. Far too often, the average user is intimidated by networking equipment and the Covr does a great job of easing that fear. 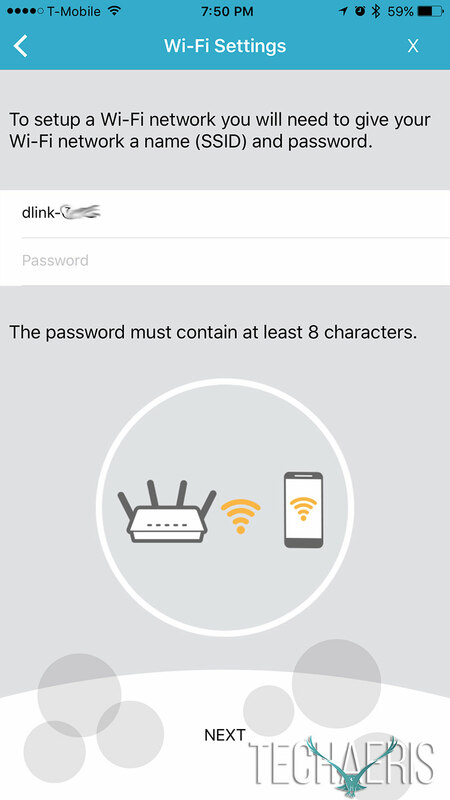 The first thing you’ll need to do is grab the D-Link app from the App Store or Google Play. 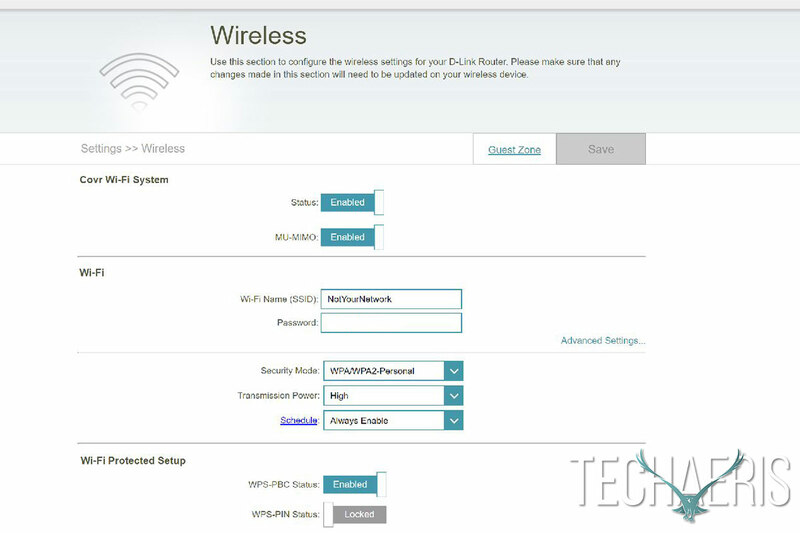 Once you have that installed you’ll need to plug in the router portion of the system and power it up (be sure to use the power adapter marked ROUTER). Once you have the app installed, just open it and it will start the setup process with you. 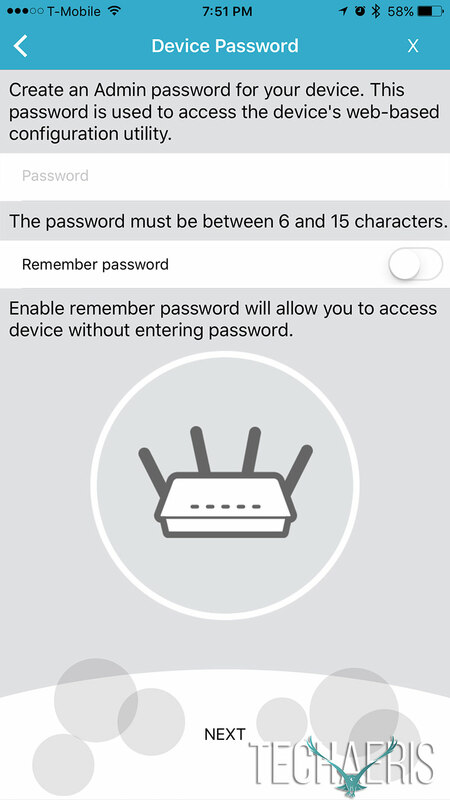 Setting up the system via the included app is really super easy, the system will start sending a Wi-Fi signal and you’ll connect via your smartphone. 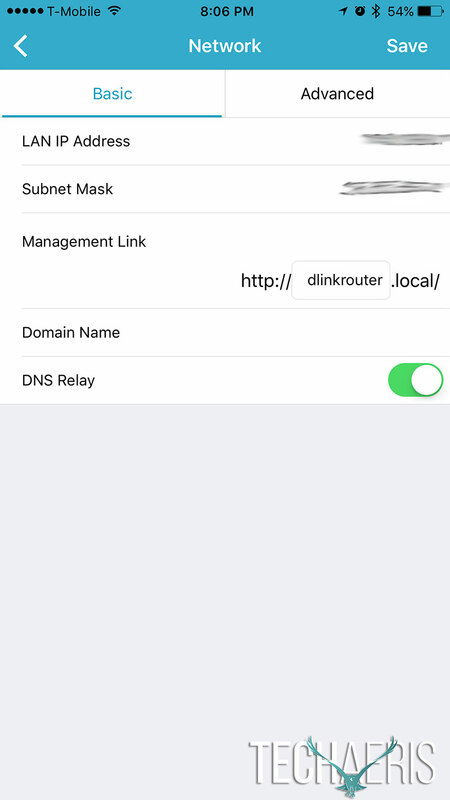 Once connected to the D-Link system you go back to the app to complete setup. 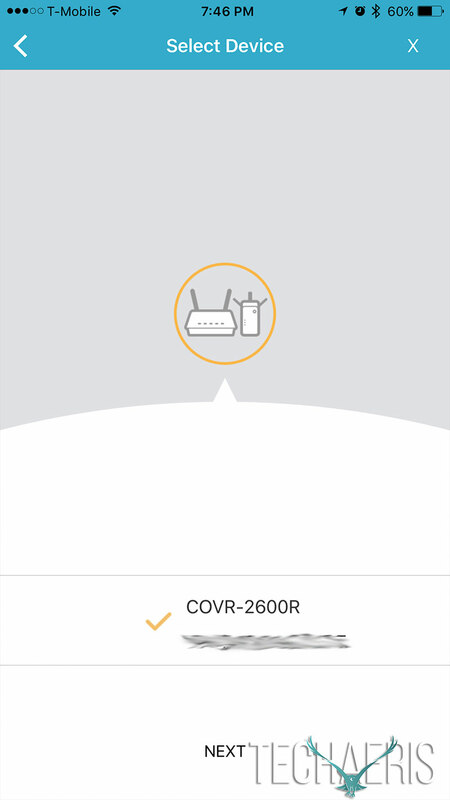 The Covr system is designed for maximum ease of use so it comes preset with the most basic networking settings. 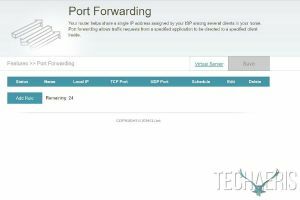 Should you want to get more granular including setting a dynamic DNS or assigning network traffic priority, you can do that through the desktop interface. We’ll cover more of the app and desktop interface in the Software section. 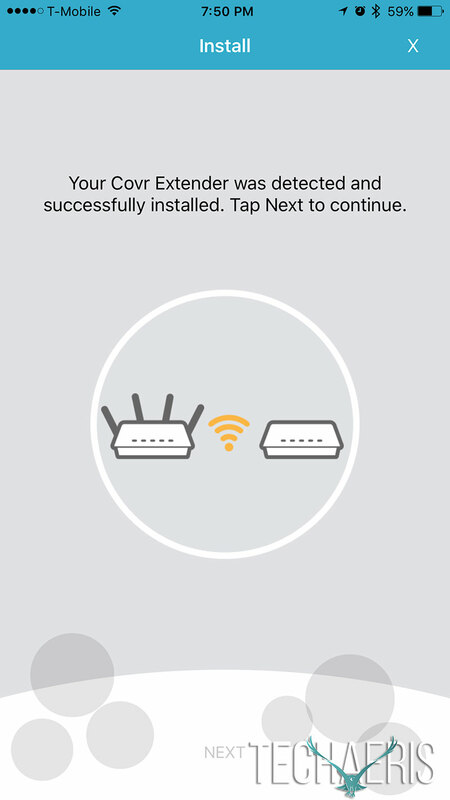 As we already mentioned, the D-Link Covr system software is meant to be used through the included app. 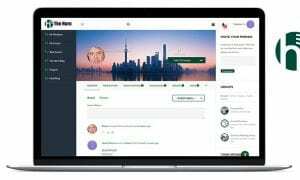 The app is already pretty robust and gives you the features most consumers are looking for or will need. You can choose your internet type, such as IPv4 and set the internet type such as DHCP. 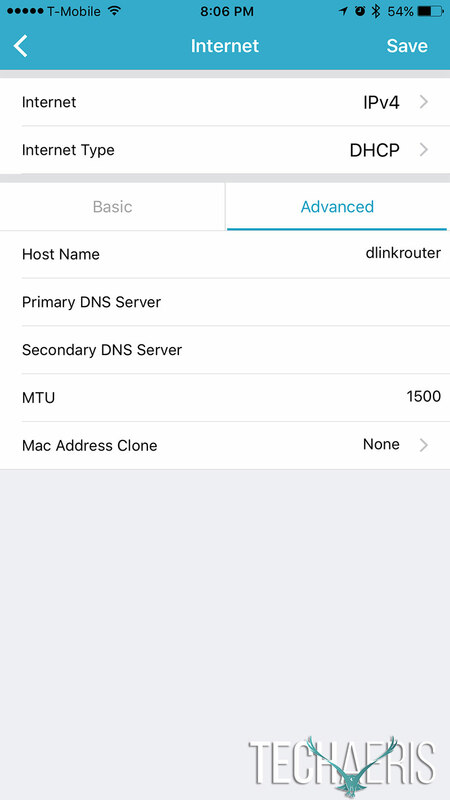 You can change your hostname through the app as well as assign a primary DNS server and secondary DNS server. 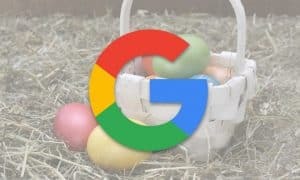 Usually, your internet service provider is used for your DNS server settings but you can choose others such as Google or OpenDNS. 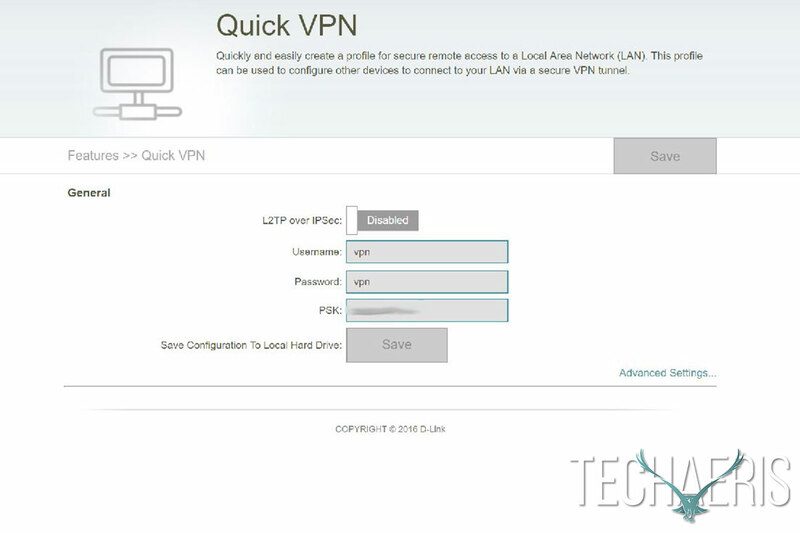 The app also gives you basic and advanced settings for your LAN IP Address, Subnet Mask and Domain Name. 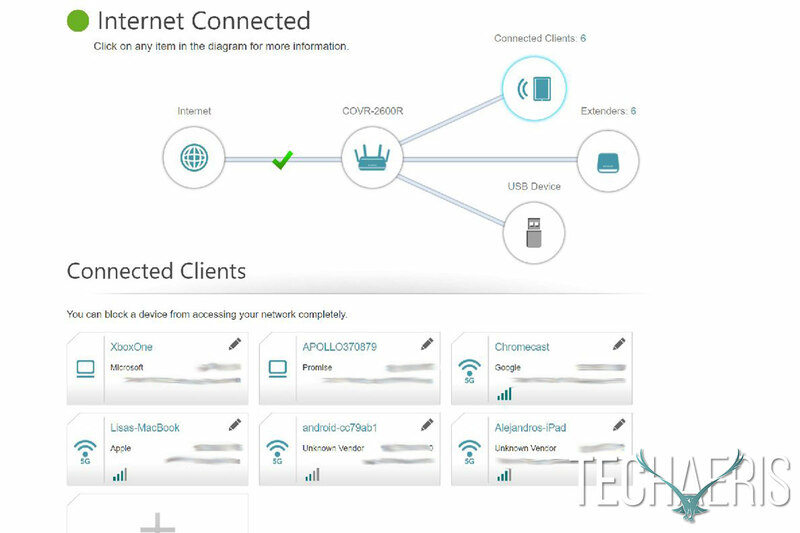 You’ll be able to also see what devices are on your network and boot those you do not want off of your network. The app is really all anyone will ever need with the D-Link Covr. 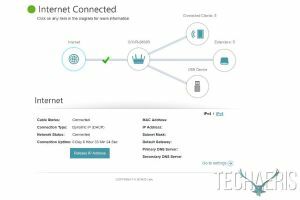 It covers just about everything you need in terms of home networking but if you’re needing to get even more granular than you can use the desktop interface. 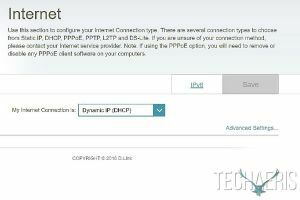 Typing in the IP address of your router into your browser will bring up the desktop interface. 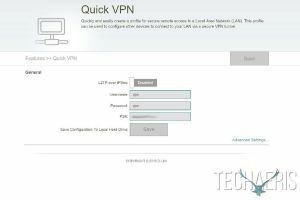 Here you can configure things further such as guest networks, QoS, Firewall, Port Forwarding, Website Filter, Static Routing, Dynamic DNS, and Quick VPN. 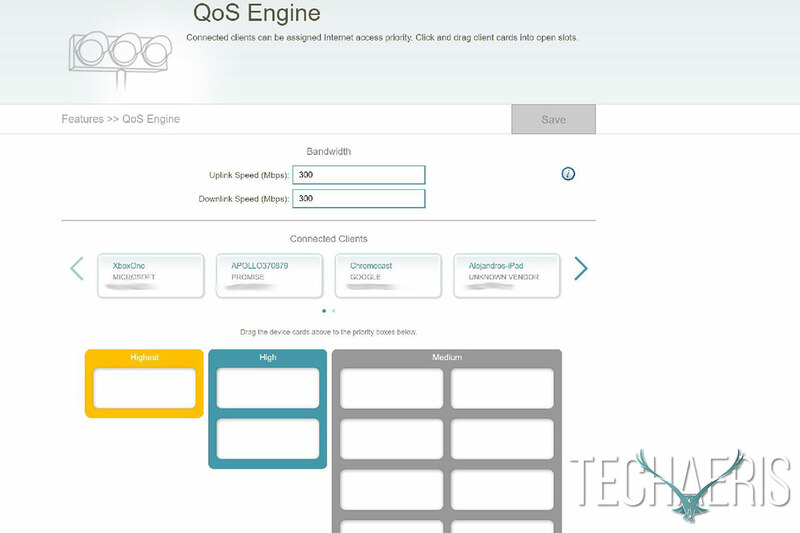 Like D-Link’s other routers, the QoS page allows you to drag and drop devices in order of priority. 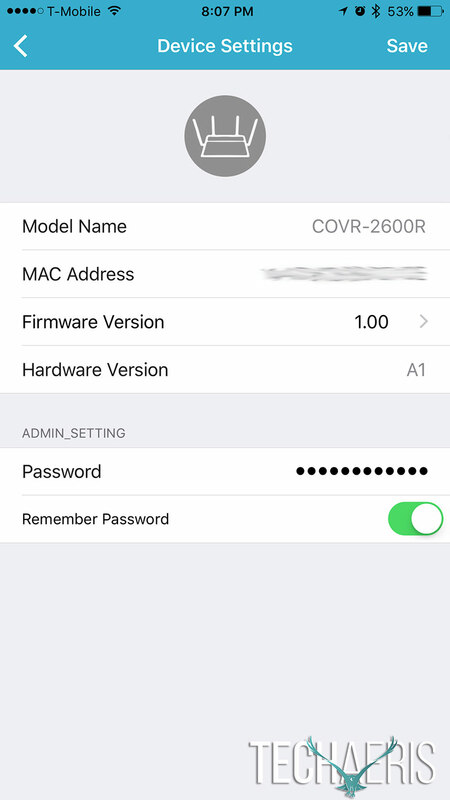 Of course, you can block devices here as well and see each device’s description, IP address, and type of device. 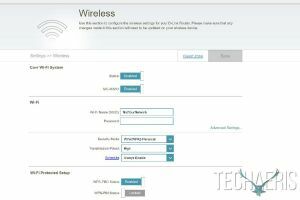 The router’s software also determines the best frequency a device should be on, whether that’s the 2.4GHz or 5GHz network. 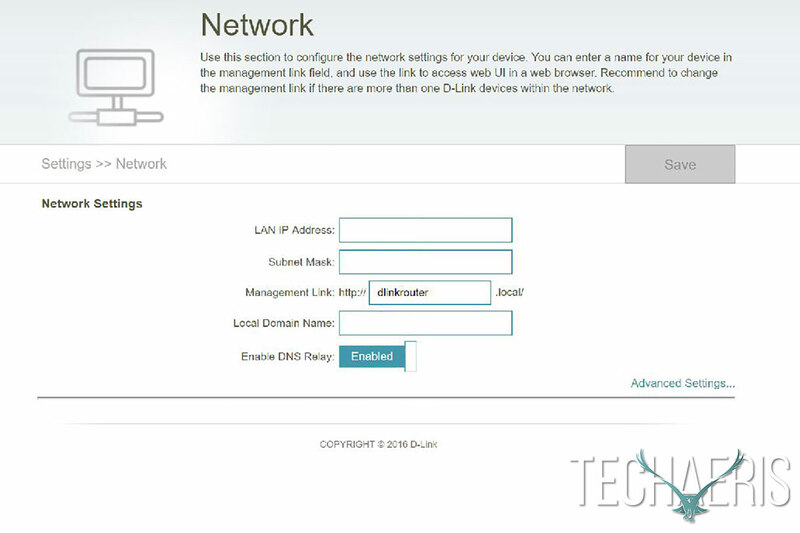 You can also choose which device lives on which network through desktop settings but D-Link has done a pretty good job of making good choices. 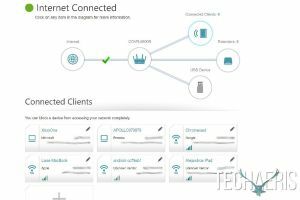 The main advantage of the desktop interface is being able to view system logs, and setup things such as emails for system events, setting up parental controls or just watching your network traffic. Overall the D-Link Covr software is great in both app and desktop form. It’s super easy to use and super easy to setup. I think D-Link’s intention is for most users to interface with the app rather than go further into the desktop but the desktop is available should a user demand that. 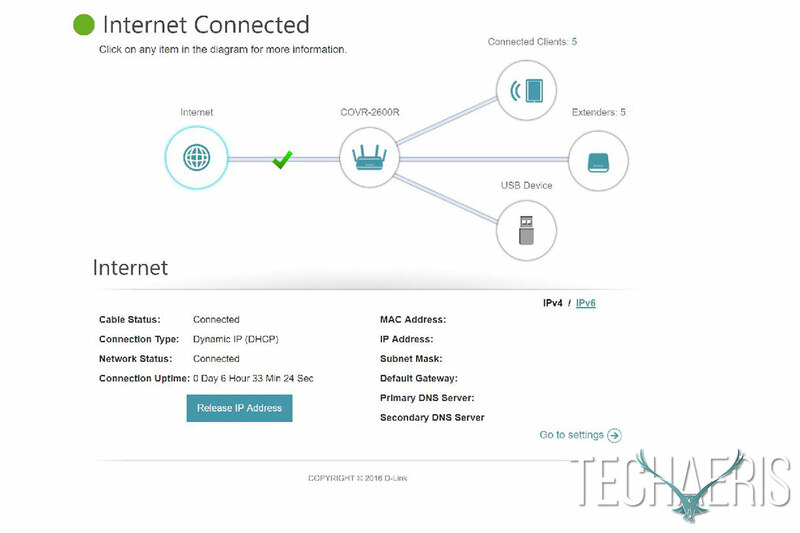 D-Link did an excellent job of making this easy to understand for the average (non-techie) buyer and most everyone should have no issues using this software nor setting up the D-Link Covr system. The D-Link Covr system supports up to 6,000 sq feet of your home in one seamless network. 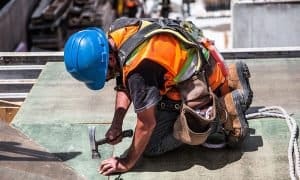 The mesh network solution is designed to give you the strongest Wi-Fi speeds around the main router while the extender picks up the borders of the router’s edges. The other advantage to using a mesh network is having one SSID (network name) through the whole house. 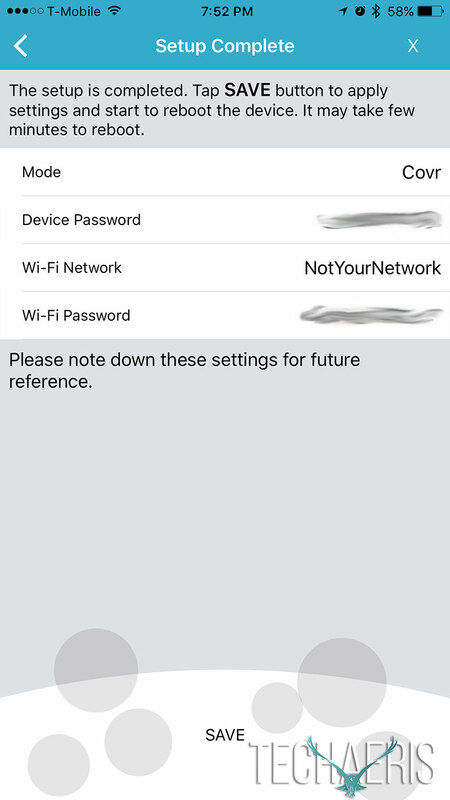 Using a separate router and extender results in multiple SSIDs so you would have to disconnect from the router when moving closer to the extender and manually connect to get the better signal. 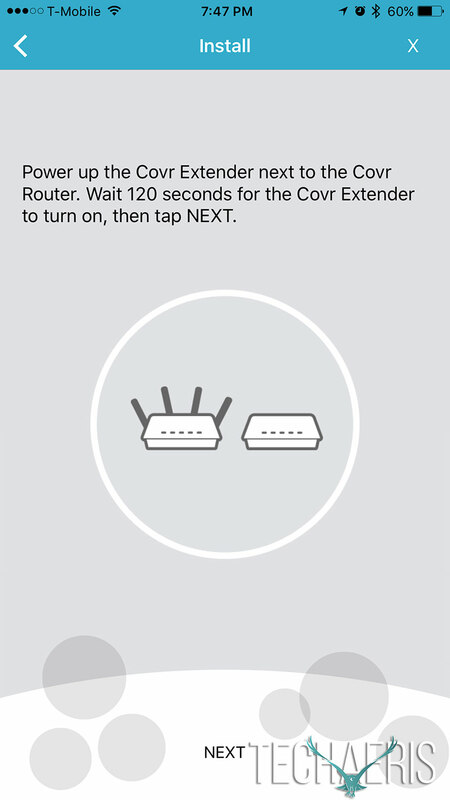 The D-Link Covr moves your devices seamlessly from the router to the extender with no work on your part. 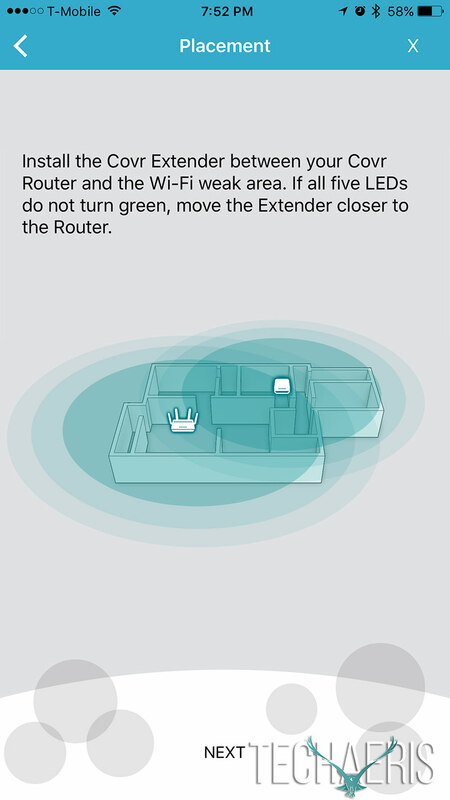 Extender is already paired to the router out of the box. The D-Link Covr also assigns each device to one of its frequencies based on the device and its performance needs. We typically have at least seven to eight devices on our network at a time including, laptops. smartphones, tablets, Xbox, and smartwatches. We had no issues when it came to lag or network disruptions when using the D-Link Covr. 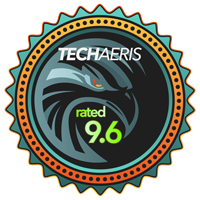 All devices seemed to be fed and performed as expected, giving us a great seamless experience throughout the home. The range of the AC3900 is also decent with the extender included. 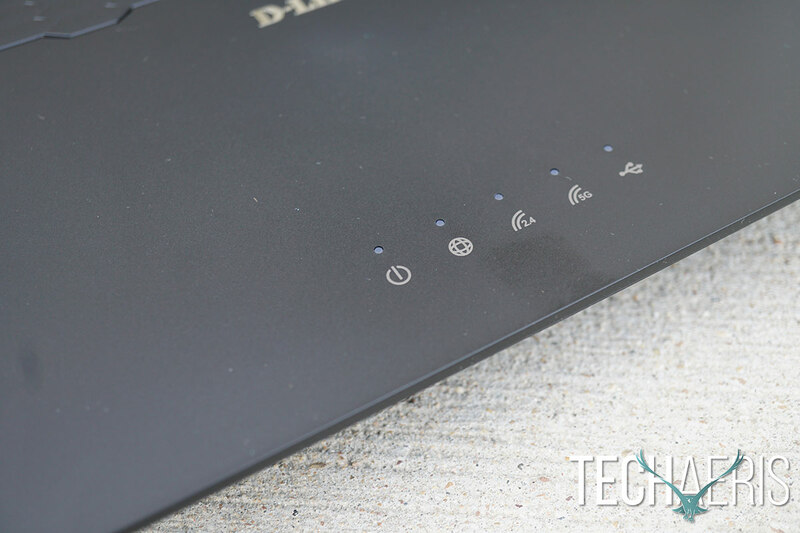 While it’s a different device, I still preferred the more expensive D-Link AC5300 when it comes to the range as that router covers my entire 1/3 acre property with ease. The AC3900 did fairly well and to be fair, it’s slightly weaker and only a dual-band compared to the 5300 tri-band. Overall the performance is great here. The D-Link Covr system will be more than adequate for most homes and even homes with multiple devices connecting at once. It supports 4K streaming, something I didn’t test much as I only occasionally get a 4K device in for testing and those are few and far between. The retail price for the D-Link Covr is $379.99USD but it can be had on Amazon for $299.99USD and on D-Link’s site for the same price right now. For the simplicity and performance you get with this system, I think there is a tremendous value, especially to those who just hate putzing with network devices. 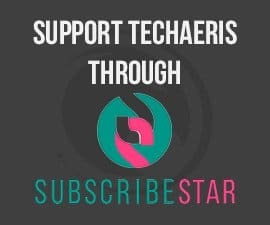 Really a simple and easy way to get a powerful, great performing, easy to setup network in your home. 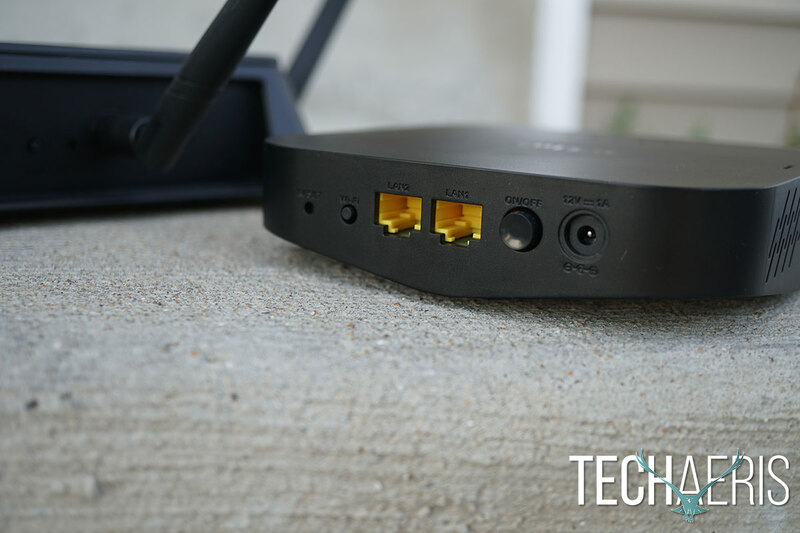 At its current $299.99USD price it’s well worth the money and with the app setup process, it should alleviate some of the headaches many regular consumers get when setting up home network equipment. 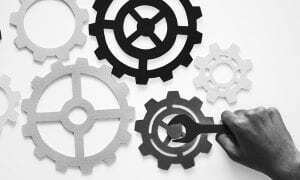 While it’s easy enough for the novice to use and setup, it still has that robust backend for those who want to see a little more information and have a little more control. *We were sent a sample of the D-Link Covr for the purposes of this review.